Her mother, sister and friends (?) fear spinsterhood may be the fate of thirty-year-old Whitney Blake. And while she doesn't believe she'll actually end up weaving her own tablecloths, Whitney does wonder whether Mr. Right will everarrive, despite her mom's adoption of matchmaking as the prime project of her "postmenopausal zest." Maybe Whitney needs to be more proactive. And so she starts a journal, stating her goals: "This month -- lose two pounds (sensibly), stand up straight with my stomach sucked in so I appear tall and thin, don't let my mother drive me crazy (a particularly difficult project). GET ORGANIZED. Start by cleaning closets. Have friends over for dinner. Pray more, obsess less." 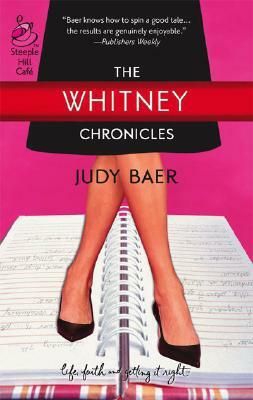 It must be working -- suddenly there's more than one man in Whitney's life. But are any of them marriage material, or is "fabulous, single, Christian man" an oxymoron?